When Life Gives You Ugly Pumpkins.... - Jill Ruth & Co. This is a sampling of my fall produce from the garden....over the years I've had some funky looking gourds, but this year was the worst. I think I had one normal Jack-Be-Little pumpkin and the rest seemed to have cross pollinated with the many volunteer gourd plants that I let grow. 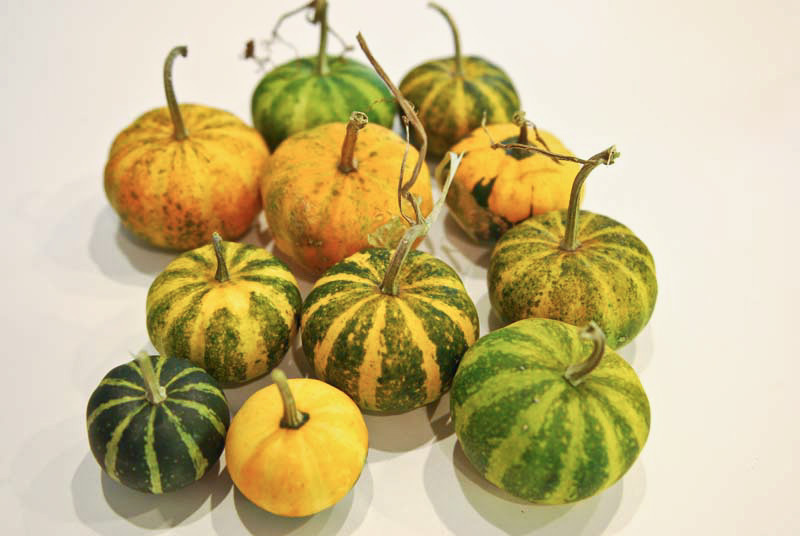 The ones you think are a bit normal all have green gourd bottoms on them. And, the color is more yellow than orange. 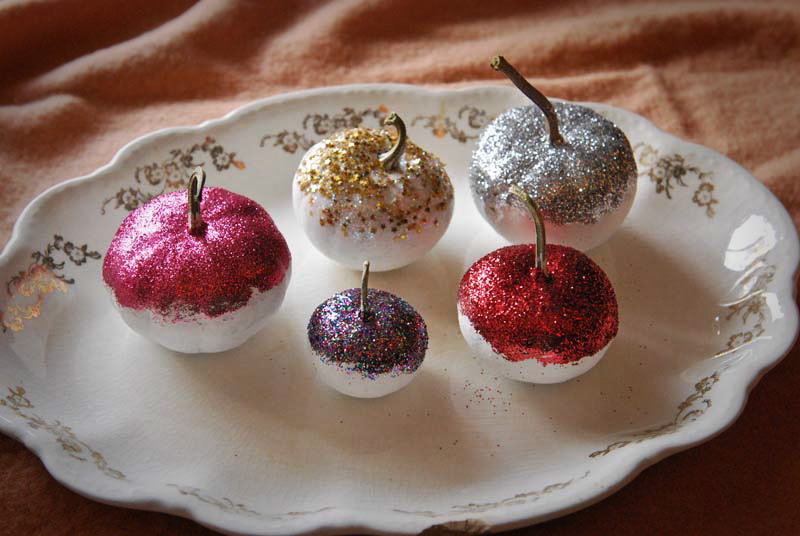 That being said...when life gives you ugly pumpkins, glitter them! 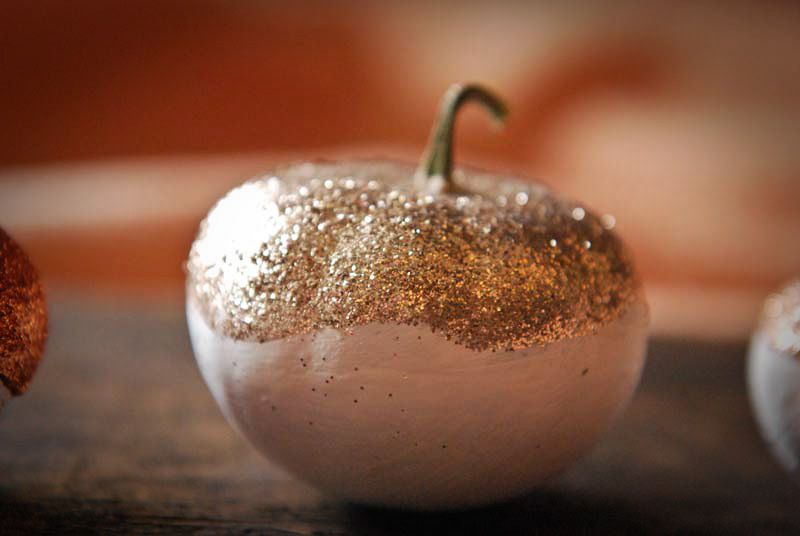 It started out as a project with the kids and we started painting the pumpkins all white. It would have been fine if we would have done just a few, but they each had a pile of at least eight and I did a bigger pile. I bribed them with a movie if they would let me glitter their pumpkins if they chose their colors. They went for it, thankfully! Or we would have been glittering until late hours! These are my 9 year old choices of colors. My 8 year old's choices. 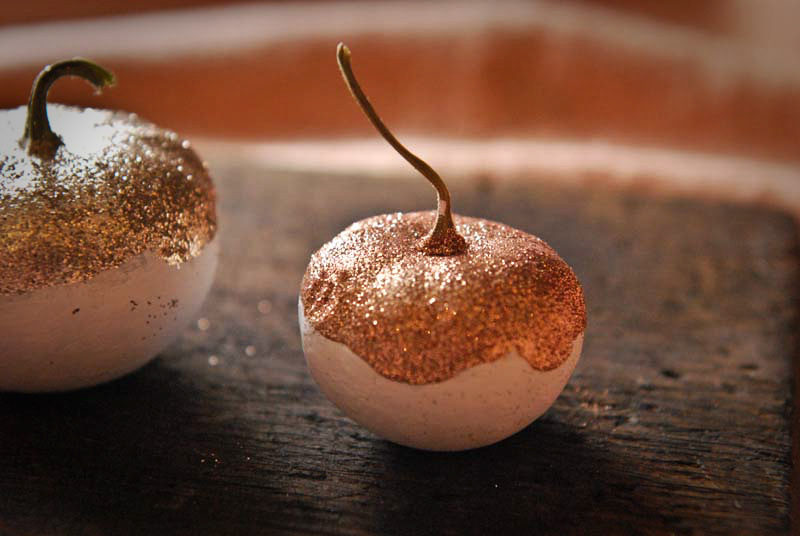 So, yes a good kids project, but with your help painting and glittering! 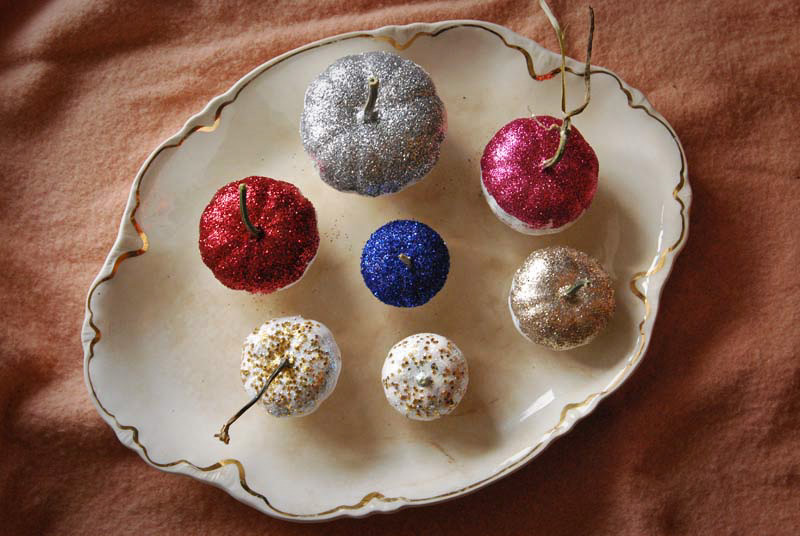 FYI: I painted the white glue on with a paint brush to adhere the glitter. Our house will be sparkling for weeks. 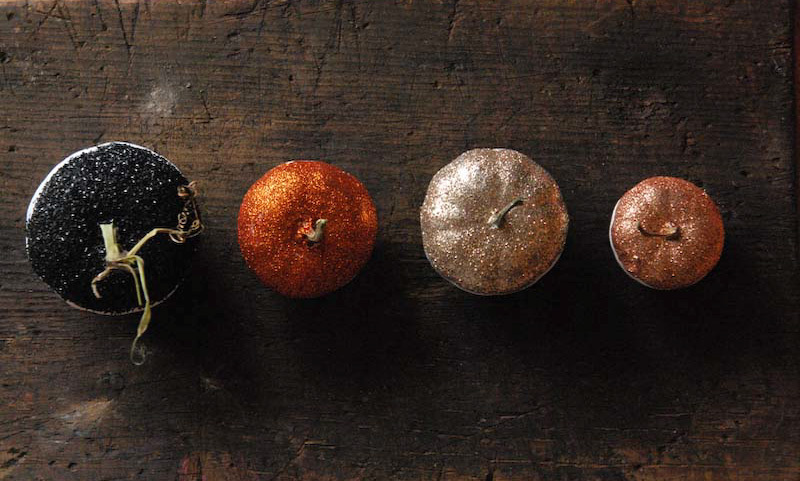 Glitter is everywhere! 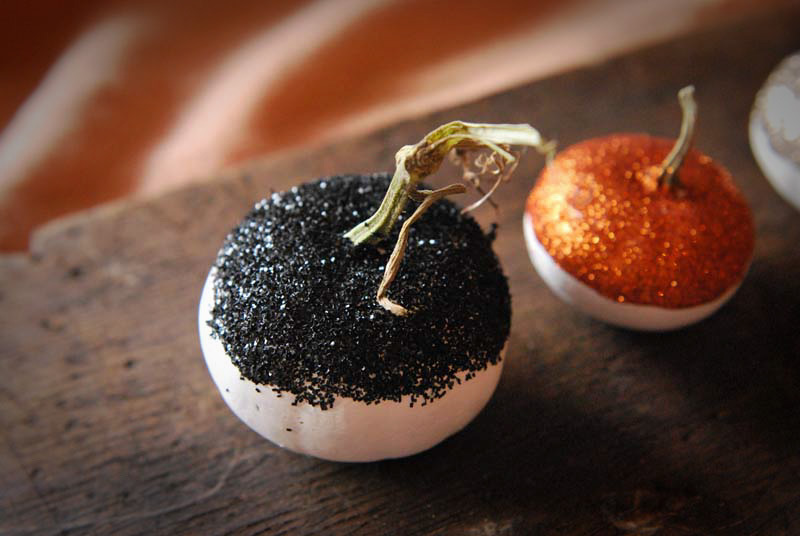 We also used some of the better looking little pumpkins for baby shower decorations last week. I will post a picture of them next week. What a transformation! Glitter and glue can do wonders. Thank you for your kind words about the events in Canada this past week. Praying for peace and freedom is so important. And for our leaders, no matter what we may think of them. I peeled the apples for the apple cake I made this week, too. Sometimes, the peeling just needs to come off! Have a great weekend, Jill. 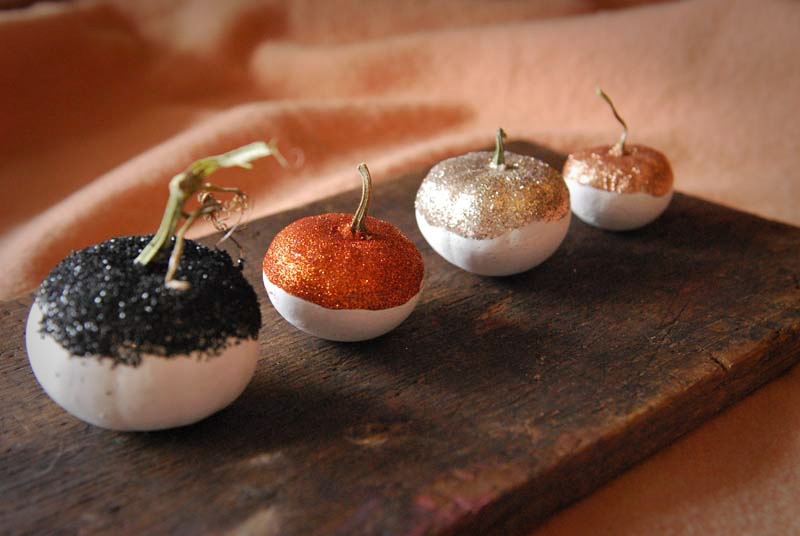 This is the cutest rendition of pumpkins I have seen!!! Love it! turned out so great - but yes - glitter always ends up everywhere regardless of how careful one is!